Patterson Belknap lawyers Craig A. Newman and George S. Soussou edited and contributed to the first Bloomberg Law Domestic Privacy Profile: New York. This comprehensive guide provides an overview of applicable laws and regulations, regulatory authorities and enforcement, risk management, and emerging issues and outlook for privacy and data security in New York state. 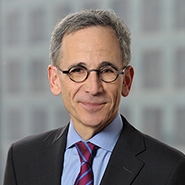 Newman is a litigation partner and chairs the firm’s privacy and data security practice. Soussou is an associate in the firm’s litigation group.